How do believers respond to the attacks from a pluralistic society? What are some of the common errors by those who espouse pluralism? If Christianity is the exclusive source of salvation, how do we respond to the question concerning those who have never heard the gospel? Paul Copan deals with these issues in his article on pluralism. Isn’t it arrogant to proclaim Jesus as God’s unique revelation in the face of other religions? view the same underlying Ultimate Reality differently from another person. Or religions could be compared to gold or silver (representing the underlying Ultimate Reality). These metals can be: (1) solid, shaped and polished; (2) a molten liquid; or (3) a rough, unrefined ore (representing the various world religions). John Hick, perhaps the most notable religious pluralist today, calls for a Copernican revolution of religions. Cosmology has shifted from a Ptolemaic geocentric (earth centred) view of the universe to a Copernican heliocentric (sun centred) one. Similarly, we must replace a Christocentric view — the triune God’s revelation in Christ as central with all other religions revolving or orienting themselves around it — with a God/Reality centred view, in which all religions, including Christianity, revolve around it. Beginning with philosopher Karl Jaspers (1883–1969), thinkers have distinguished between three stages of religious development. First, ancient preaxial religions are characterized by being tribalistic, mythical, nature bound and primal. Second, axial-age religions arose in two stages: (1) Significant saving or liberating ethical religious ideas emerged in India (ritual to philosophical—or Vedic to Upanishadic— Hinduism and then Buddhism); China (Confucianism, Taoism); and the West (Zoroastrianism, prophetic Judaism, Greek philosophy) around 800 to 200 B.C. (2) Then, springing from Judaism, two offshoot Abrahamic religions—Christianity and Islam — arose. By definition, truth excludes something—error or falsehood. Christians and Buddhists cannot both be right on this matter because either God exists or He doesn’t. Muslims and Christians cannot both be right about Jesus’ death. Muslims reject His death on a cross (Sura 4:157,158). If Muslims are correct, then the Christian faith crumbles (1 Corinthians 15:13–19). …non-Christians who believe Christians are narrow-minded for believing in Jesus’ uniqueness need to remember that Christ spoke of it first. Non- Christians who are offended by claims that Jesus is the only Saviour need to know that this claim originated with Jesus…. All the world’s religions differ significantly concerning the nature of Ultimate Reality (a personal God; an impersonal, undifferentiated consciousness; or Nothingness); the human condition (sin, ignorance, or craving/desire); its solution (salvation, enlightenment, or the elimination of desire); or the afterlife (personal enjoyment of/separation from God, reincarnations or rebirths followed by personal extinction). All religions are not “basically the same.” Sophisticated pluralists will recognize these genuine, irreconcilable differences. For Hick, religious belief is the result of culturally conditioned attempts to arrive at the Ultimate Reality. The nomadic Muslim Tuareg or the Krishna devotee will be oriented to the Real through the filter or baggage of his particular religious and cultural background. Religious beliefs are true in the sense that they are oriented toward the Ultimate Reality, but false in another because of cultural conditioning. There are different ways of conceiving, experiencing and responding to this Ultimate Reality. Its reality is different from the experience of It. This resembles what philosopher Immanuel Kant (1724-1804) asserted: We cannot have direct access to the noumenal realm (the thing in itself), but only to the phenomenal realm (as it appears to us). Yet this view raises questions about how Kant or Hick could know that this thing-in-itself or the Real is unknowable. Another aspect of religious pluralism is that all the world’s religions are equally capable of bringing salvation or liberation. Salvation is the transformation from self-centredness to Reality-centredness, and no particular religion has a monopoly on such a transformation. Religious pluralists often claim that producing morally upright saints is evidence of the realization of liberation in different religions. Major world religions produce moral fruits in their devotees, such as treating others how they would want to be treated. Christians have Jesus or Mother Teresa; Hindus, Mahatma Gandhi; and Buddhists, the Dalai Lama. No religion has moral high ground over another. Christians maintain that the Christian faith is true and that the sacrificial death of Jesus is the basis of genuine salvation. Thus, other religions cannot deliver genuine salvation. Where other religions disagree with Christian revelation, at that point they are in error. This view is particularlistic or exclusivist, but all religious truth claims are exclusionary. Before addressing problems with religious pluralism, we need to consider four things. First, all truth is God’s truth — whether within the Christian faith or outside it. In Acts 17:22–28, Paul cited pagan (Stoic) thinkers who spoke of God as the Creator and Sustainer who is not contained by human temples. We also need to pay attention to commonalities and bridges with other religionists by affirming God-originated truth when we come across it. Buddhists or Confucians believe in honoring parents or in religious freedom; Muslims maintain that an eternally existent God created the universe. Christians can work together with Muslims and Buddhists in opposing tyranny and oppression throughout the world. Because all people are God’s image bearers, Christians can affirm that the poor or illiterate need to be helped without making basic aid or education contingent on receiving the gospel. Second, non-Christians who believe Christians are narrow-minded for believing in Jesus’ uniqueness need to remember that Christ spoke of it first. Non- Christians who are offended by claims that Jesus is the only Saviour need to know that this claim originated with Jesus; Christians did not make this up (for example, John 14:6; compare Acts 4:10, 12; 2 Corinthians 5:19). The critic must ultimately contend with Jesus’ own authoritative and staggering identity claims. Third, religious dialogue requires equal respect, not equality of belief. Here is a common interfaith scenario: Christians are invited to prayer breakfasts, dialogues and panel discussions. They are told, however, that they cannot pray in Jesus’ name or mention Jesus’ uniqueness because this might offend Jews or Muslims. But isn’t that restriction offensive to Christians? Why is it permissible to offend Christians but not Jews and Muslims? Christians do not know how to pray except in the name of Jesus. So a Christian invited to such events needs to be allowed to pray as a Christian, not as a Deist to some generic deity. In dialogue, he needs to graciously speak as a Christian rather than accept a lowest common denominator approach in discussion. While Christians, Jews and Muslims share an Abrahamic faith, this does not mean they are equal. So if discussants approach the religious roundtable assuming religions are equally legitimate and true, they are not doing so as Christians, Muslims or Jews. Religious dialogue must begin with the equality of persons, not belief. Participants can discuss their individual views and experiences openly, and all sides can benefit from empathetically listening to clarify views and to prevent the creation of caricatures and stereotypes (James 1:19). While pluralists may appeal to analogies such as roads that lead to the tops of mountains or blind men touching an elephant, we could ask how they know that each religion’s road leads to the top and why those who disagree are wrong. How is it that they have the correct vantage point? First, religious pluralism eliminates the possibility of specific historical divine revelation. Religious pluralism seeks to begin from the ground up by observing what goes on in mosques, churches, synagogues, temples and Sikh gurdwaras. Many pluralists believe Jesus was just a God-conscious person who did not rise from the dead. His later followers ascribed divinity to Him, as some of Buddha’s followers did to Buddha. The pluralist, if correct, ultimately undermines the historic Christian faith. Jesus is one of many legitimate ways of finding salvation or liberation. According to orthodox Christianity, God begins with particular persons and events — Abraham or the Incarnation. He does have the universal in mind, seeking to bless all the families of the earth (Genesis 12:1–3). Like ripples from a stone tossed into a pond, the Christian mission to the world flows from the Incarnation; it offers salvation to all through God’s enabling Spirit. Pluralism, however, leaves us with a property-less, content-less Ultimate Reality. How do we need to respond toIt?Do we need to love It, or pray to It,or just live ethically? Can we know It even exists? Second, religious pluralism is logically just as exclusivist as the Christian faith—or any other. The pluralistic sounding Dalai Lama has declared that Tibetan Buddhism is “the highest and [most] complete form of Buddhism.”8 “Only Buddhists can accomplish”9 what is necessary for liberation. It seems, however, that religious pluralism is just as non-neutral and exclusivist regarding the status of religious truth claims. The religious pluralist believes that his view is true and that the exclusivist — whether Christian, Muslim or Buddhist — is wrong in rejecting pluralism. The pluralist believes he has a virtue the Christian or Muslim does not. Pluralism implies that Christians need to abandon belief in Jesus’ deity, atoning death and resurrection—beliefs pluralists take to be literally false and simply inspiring metaphors or symbols. Though the Christian faith is a particular exclusivism, religious pluralism is a generic exclusivism: if the pluralist is correct, then the central doctrines of the world’s great religions are false. While pluralists may appeal to analogies such as roads that lead to the tops of mountains or blind men touching an elephant, we could ask how they know that each religion’s road leads to the top and why those who disagree are wrong. How is it that they have the correct vantage point? Besides, these analogies do not prove a point; they only illustrate it. If Jesus is the only way, we could then change the analogy to one that is more appropriate. For example, religions are like a labyrinth or a maze with only one way out. Here Jesus proves to be an advantageous starting point. Jesus claims to reveal God to us and to direct our destiny, which is bound up with our response to Him personally. Jesus Himself steps into the maze of our miserable human condition, guides us to salvation, and grants us hope. Third, even if religious belief is largely shaped by geographical and historical circumstances, this fact in itself does not guarantee religious pluralism’s truth. Pluralists raise the geography objection: “If you had been born in Saudi Arabia, you would likely be a Muslim — or if in India, a Hindu.” Though statistically true, this reasoning hardly proves the pluralist’s point. The geography of a belief neither establishes nor neutralizes its truth. While a Marxist, monarchist, or conservative Republican would likely have joined the Hitler Youth, had he grown up in Nazi Germany, we do not conclude that all political systems are equally legitimate (perhaps, say, because they move persons from self-centredness to political centredness!). Independent reasons exist for preferring certain forms of government over others.10 We could say the same about morality: just because some groups of people grow up holding that cannibalism or terrorism or racism are morally justifiable, we are right to stick to our guns by rejecting their problematic moral perspective. Our belief in objective moral values and human rights isn’t threatened by the fact that others grow up thinking differently. The same applies to beliefs about ultimate reality and the human condition: we rightly reject profoundly incoherent beliefs. We correctly question claims that depend heavily on phoney documents or the character of a charismatic, womanizing charlatan who founds a religion—even if his followers are morally decent people. If the Christian faith more readily explains many features of the universe and of the human condition than various Eastern religions or other secular alternatives, then its greater plausibility should not be trumped by the geographic objection. Hardly neutral observers of the religious landscape, pluralists who reject Jesus’ bodily resurrection or His remarkable authority claims as historically reliable are taking a gamble. Not only would Jesus’ radical uniqueness completely undermine pluralism, but orthodox Christian tradition is also buttressed by strong historical support. Indeed, the Christian faith is virtually unique among world religions in that it is rooted in history and thus makes crucial claims historically verifiable (e.g., Jesus’ death and resurrection). In addition, we can turn the tables on the pluralist: if he had been born in Madagascar or medieval France, he probably would not have become a pluralist!11 If all religions are culturally conditioned attempts to get at the Ultimate Reality, then pluralism is just as culturally conditioned as Christian or Hindu beliefs. How, then, has the pluralist risen above his cultural conditioning to see things more clearly than the rest of us? Does the religious pluralist think he is just another blind man touching his part of the elephant? No. He takes the view of the onlooker who sees the entire elephant and thinks the blind men are foolish because of their narrow-minded dogmatism. Fourth, a religion’s moral fruitfulness is not necessarily the ultimate test of its legitimacy. How do we explain moral atheists who help their neighbours but reject the transcendent and even strongly oppose traditional religion as delusional and full of false promises? Should pluralists carry on religious dialogue with them—and to what end? What about religions that include ritual human sacrifice or racist beliefs? Are these legitimate, culturally conditioned attempts to arrive at Ultimate Reality?12 Ironically, pluralists like John Hick and Paul Knitter affirm an impersonal Ultimate Reality (which is also affirmed in many Eastern religions), but how can It be the basis of personal virtues such as kindness and compassion? A personal God—especially the intrinsically relational triune God—makes better sense of such virtues. If no observable moral difference exists between adherents of these different religions, then the common pluralistic conclusion — that all the great religions are equally capable of saving — isn’t more obvious than the conclusion that it is not the case that all these religions are equally capable of saving. In fact, it is reasonable to conclude that we have no idea whether all religions are or are not equally capable of saving.13 Being an agnostic—not a pluralist—is the more reasonable position. Fifth, the Christian’s motivation to live humbly, gratefully, graciously and self-sacrificially is connected to Jesus’ authority as God’s Son. Such motivation will lose much of its force if, as the pluralist contends, Jesus was a mere man. If Jesus is not God incarnate, this denies historic Christianity’s claims and seriously undermines our devotion to Christ. This is a pragmatic consideration, but the Christian faith is bound up with historical events such as Jesus’ death and resurrection. If these never occurred, then Paul urges us to consider hedonism since a mere earthly hope in Christ is delusional (1 Corinthians 15:32). (a) He was different from the founders of other great religions. Jesus made unique claims that no other world religious leader made — to forgive sins, hear prayers, be the Judge of all, be always present with His followers, give rest to one’s soul, have authority over angelic/demonic beings, and receive worship. By contrast, Muhammad would have thought Jesus’ personal claims blasphemous; Buddha was a metaphysical agnostic, as was Confucius. (b) The earliest Christians — fiercely monotheistic Jews — bore witness to an exalted Jesus who shared in the divine identity. The Shema (Deuteronomy 6:4) declares that there is one Lord [Yahweh], but Paul affirmed that the one Lord is Jesus Christ, who is Creator of all and the Source of our existence (1 Corinthians 8:6). The first Christians even prayed to Him (Acts 7:59; 1 Corinthians 16:22). Jesus’ first followers believed He shared the divine identity and attributed the honours, titles, actions and prerogatives of Yahweh to Jesus. The New Testament writers affirmed this without dispute. Such a conviction, buttressed by Jesus’ own resurrection from the dead and post-mortem appearances, vindicated those authoritative claims — that in Him the kingdom of God, the new exodus, and the new creation had come. If there is salvation outside of Christ, then Jesus’ redemptive mission as Israel’s and humanity’s representative was ultimately a misguided failure. And contrary to Jesus’ Gethsemane impressions, the bitter cup could have been removed from Him. In the end, religious pluralism will not let Jesus be Jesus. If it did, it would undermine itself. Those dying as infants and the mentally handicapped have not done anything to incur God’s judgment and thus — many Christians agree — will still be saved. And Old Testament saints such as Abraham and David who cast themselves on God’s mercy were saved by what Christ would one day accomplish even though they did not know Jesus (Hebrews 10:4, compare 9:13,14). clues already available to them?” God will not judge unjustly (Genesis 18:25). While God’s grace in Christ is the actual (ontological) basis for every person’s forgiveness, inclusivists insist that knowing about Jesus of Nazareth (epistemological) is not necessary for salvation. Christ’s death is ontologically (actually) necessary for salvation, but not epistemologically necessary. Those dying as infants and the mentally handicapped have not done anything to incur God’s judgment and thus — many Christians agree — will still be saved. And Old Testament saints such as Abraham and David who cast themselves on God’s mercy were saved by what Christ would one day accomplish even though they did not know Jesus (Hebrews 10:4, compare 9:13,14). Despite its merits, however, inclusivism has been criticized: (1) Its overoptimism about untold multitudes who cast themselves on God’s mercy seems to go against Paul’s negative assessment of the human condition in Romans 1 through 3. (2) Inclusivism does not address the problem that many people do not respond to general revelation, yet respond to the preaching of the gospel — which is not surprising since the gospel is the power of God for salvation (Romans 1:16). (3) Inclusivism still has its own question of injustice to deal with. Many could complain that they were born in the wrong place at the wrong time, having only natural revelation, while others who are no more worthy were born in a time and place where they were able to hear the gospel and be saved. That is the problem inclusivism has been trying to solve in the first place. Some Christians believe the unevangelized— even the mentally handicapped and those who died as infants—will have a post-mortem opportunity to personally encounter Jesus, hear the gospel, and either embrace it (and enjoy God’s presence) or reject it (and be removed from God’s presence). The offer of salvation is not limited to an earthly existence. While this is an intriguing possibility, this view is sometimes based on highly disputed biblical passages (for example, 1 Peter 3:18–22). I am taking for granted that our good, wise God has a universal loving intent toward everyone, and that He is not willing that any perish but find salvation (1 Timothy 2:4; 2 Peter 3:9; compare John 3:16,17); Jesus is the potential Saviour for all people, and the actual Saviour for believers (1 Timothy 4:10; 1 John 2:2; compare 2 Peter 2:1). The fact that God commands all people to repent—not simply a selected subset of them (Acts 17:30)—shows that God makes available to everyone His initiating (prevenient) grace. Salvation is accessible to all people. Perhaps God, knowing what free creatures would do in every possible world He could create, created a world in which the maximal number of persons would be saved and the minimal number of persons would be condemned. Despite the workings and wooings of God’s gracious Spirit, many would freely resist God in any world in which God placed them — whether or not they heard the gospel. Those who are lost in actuality are those who would be lost in any world in which God placed them. Despite God’s grace toward them, their freely self-created condition of transworld depravity would prevent them from embracing God. But why should God refrain from bringing as many as possible into His family simply because others, such as the prodigal’s older brother, refuse to enjoy the festivities? God is not unjust or unkind if the people He created freely refuse His grace. So why should He be blamed? What if, in the end, we learn that no person who, having rejected the light of revelation that he did have, would have believed had he received more? No unevangelized person is (justly) condemned simply because he would have freely rejected God’s salvation no matter what possible world he might have been placed in, but because he rejected God’s saving grace in his actual circumstances. Furthermore, God has ways of revealing himself to Cornelius-like figures (Acts 10) who have not yet heard the gospel. In a remarkable affirmation of Yahweh’s working among the nations, Yahweh asks Israel, “Are you not as the sons of Ethiopia to Me, O sons of Israel?” and “Have I not brought up Israel from the land of Egypt, and the Philistines from Caphtor and the Arameans from Kir?” (Amos 9:7, NASB). Angelic messengers might appear or, as is being reported with increasing frequency, Muslims (or adherents to other religions) in remote areas may have visions of Jesus and find salvation.19 God is able to do far more than we can ask or imagine — even when it concerns the unevangelized. They are in good hands with Him. How can pastors and other Christian leaders encourage those entrusted to their care to handle pluralistic challenges? By exposing those whom they are guiding to pluralism’s doctrines and spiritual dangers through sermons, ongoing training, seminars and reading groups. This is an urgent task because those in America who profess to be Christians are increasingly becoming less biblically literate. In fact, those who view Christian beliefs as preference-based rather than truth-based are growing in number. Many people have a buffet style spirituality, picking and choosing what they like rather than what is truth. This view is called syncretism.20 As The Barna Group notes, “Our continuing research among teenagers and adolescents shows that the trend away from adopting biblical theology in favor of syncretic, culture-based theology is advancing at full gallop.”21 When people buy into religious pluralism, this negatively affects the church’s evangelistic task. Furthermore, pastors must remind Christians that their faith is not only unique because of its emphasis on God’s initiating grace in the person of the incarnate Son of God or in the identity claims Jesus made for Himself, but also because its many claims can be verified in history, archeology and science. As we train Christians to communicate their faith, we must tell them why the Christian faith is true — why they need to be Christians rather than Buddhists, Hindus or Muslims. While the Spirit ultimately gives us assurance that we belong to God, we must give our churches the available public reasons for belief in Christ. Those under our care need to have the conviction that if certain events, such as the resurrection, did not take place, then the Christian faith is finished (1 Corinthians 15:13–19). We are not Christians because our faith gives us a sense of joy and purpose, or because we enjoy good fellowship and potluck dinners. We are Christians because the Christian faith is true. Paul says if the Christian faith is not true, then we are preaching a lie and are to be pitied. In saying this, Paul utterly rejected the buffet style spirituality of today. faith. But we are also living in a time when professing Christians seem to be abandoning the development of their minds and the objective truth of the gospel. 1. This article is adapted from a chapter in Paul Copan, Loving Wisdom: Christian Philosophy of Religion (St. Louis, MO: Chalice Press, 2007).2. A helpful overview on religious pluralism is David Basinger, Religious Diversity: A Philosophical Assessment (Burlington, VT.: Ashgate, 2002).3. Allan Bloom, The Closing of the American Mind (New York, NY: Simon and Schuster, 1987), 228.4. In John Hick and Paul F. Knitter, eds., The Myth of Christian Uniqueness (London: SCM Press, 1987), 141.5. This statement was aired on the Oprah show (Harpo Productions), Thursday, February 15, 2007.6. John Hick, An Interpretation of Religion (New Haven, CT: Yale University Press, 1989), 235-236.7. Dalai Lama, Kindness, Clarity and Insight (New York: Snow Lion Publications, 1984), 45.8. Ibid., 51.9. José Ignacio Cabezón, ed., The Bodhgaya Interviews (New York: Snow Lion Publications, 1988), 22.10. Peter van Inwagen, “Non Est Hick,” God, Knowledge, and Mystery (Ithaca, NY: Cornell University Press, 1995), 213-214.11. Alvin Plantinga, “Ad Hick,” Faith and Philosophy 14 (July 1997): 295–298.12. Roger Trigg, Rationality and Religion (Oxford: Blackwell, 1998), 56-57.13. Paul Griffiths, Problems of Religious Diversity (Oxford: Blackwell, 2001), 149.14. Exclusivist, inclusivist and pluralist are three standard categorizations that are not always helpful and can overlap. Depending on the context, these terms need further nuancing. For example, a Christian exclusivist should not hold that truth cannot be found outside the Christian revelation, and a Christian inclusivist believes that Christ alone is the basis of anyone’s salvation. Harold Netland, Encountering Religious Pluralism (Downers Grove, IL: InterVarsity Press, 2001).15. See John Sanders, ed., What About Those Who Have Never Heard? (Downers Grove, IL: InterVarsity Press, 1995). See also Veli-Matti Kärkkäinen, An Introduction to the Theology of Religions (Downers Grove, IL: InterVarsity Press, 2003).16. See Part 5 in Paul Copan, True for You, But Not for Me (Minneapolis: Bethany House, 1998). On this, I follow the work of William Craig.17. Scripture quotations taken from the New American Standard Bible®, Copyright © 1960, 1962, 1963, 1968, 1971, 1972, 1973, 1975, 1977, 1995 by The Lockman Foundation. Used by permission (www.lockman.org).18. William Lane Craig, “Is ‘Craig’s Contentious Suggestion’ Really So Implausible?” Faith and Philosophy 22/3 (July 2005): 361.19. Pauline Selby, Persian Springs: Four Iranians See Jesus (London: Elam Ministries, 2001). See also David H. Greenlee, From the Straight Path to the Narrow Way: Journeys of Faith (Waynesboro, GA: Authentic Media, 2005). 20. See my discussion of syncretism in “Challenge No. 6: People Should Be Free To Pick and Choose What They Believe About Jesus,” in Lee Strobel, The Case for the Real Jesus (Grand Rapids, MI: Zondervan, 2007).21. The Barna Group, “Americans Draw Theological Beliefs From Diverse Points of View,” The Barna Group, http://www.barna.org/barna-update/article/5-barna-update/82-americans-draw-theological-beliefs-from-diverse-p oints-of-view (accessed August 16, 2009).22. Ted Cabal, ed., et al., The Apologetics Study Bible (Nashville, TN: Holman Bible Publishers, 2007). This book has articles by Chuck Colson, J. P. Moreland, Norman Geisler, Josh McDowell, and many other able defenders of the Christian faith.23. The following websites are useful. Apologetics resources can be found at Leadership University, http:// www.leaderu.com; Tektonics, http://www.tektonics. org/; from philosophers/apologists such as William Craig, http://www.reasonablefaith.org, http://www. leaderu.com/offices/billcraig/; Gary Habermas, http:// www.garyhabermas.com/; J. P. Moreland, http://afterall.net/citizens/moreland/; Paul Copan, http://www.paulcopan.com. I have also written several popular level books that attempt to address practical questions skeptics ask. Access these at my website. 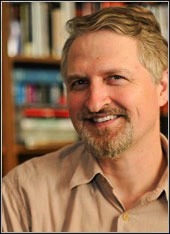 PAUL COPAN, PH.D., PALM BEACH, FLORIDA, IS PROFESSOR AND PLEDGER FAMILY CHAIR OF PHILOSOPHY AND ETHICS, PALM BEACH ATLANTIC UNIVERSITY. He is the author of True for You, But Not for Me, That’s Just Your Interpretation and How Do You Know You’re Not Wrong? He is editor of The Apologetics Study Bible, Passionate Conviction and The Rationality of Theism. He is president of the Evangelical Philosophical Society. "In Acts 2, the Apostle Peter stood before a crowd in Jerusalem and preached about the resurrection of Jesus. He quoted a minor prophet and a couple of Psalms. They understood quickly. Many accepted the message. Many were baptized. In Acts 17, the Apostle Paul stood before a crowd in Athens and preached about the resurrection of Jesus. He quoted the inscription from an idol and a line from a pagan poet. Some people sneered. Others wanted to hear more. A few became followers of Christ. One gospel. Two vastly different crowds. Two vastly different contexts. Two vastly different approaches. What we have to decide is this: which crowd and which context is closer to our present Canadian reality—Jerusalem or Athens? When that question is answered, our approach to how we communicate the unchanging gospel becomes clearer."